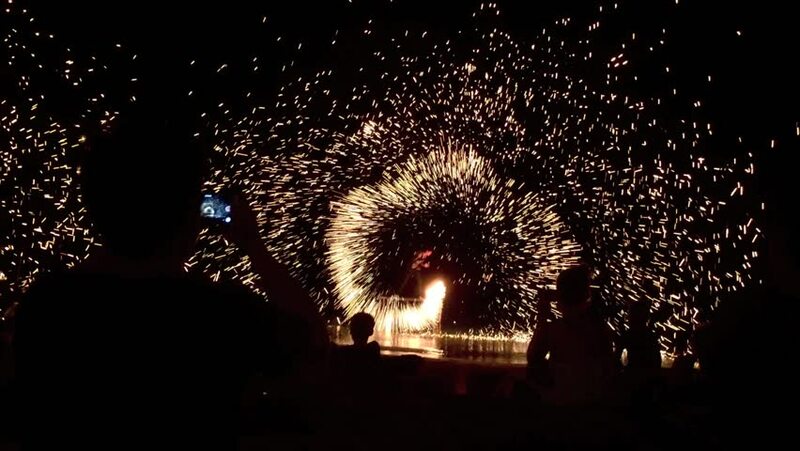 Nightlife in Thailand, performer spinning poi with fire show on the beach. Fire Performance Show with silhouette audiences on the beach. hd00:29Colorful fireworks on the black sky background. hd00:19Man and women twist fiery circles on a fire show.Man and women does a fire performance.Fire show amazing at night.Sparks fire show. 4k00:20Aerial footage of fireworks over water. Rhine, Hesse, Germany.